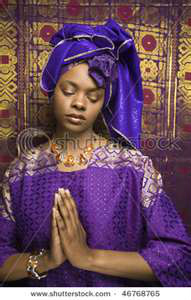 Dear Lord, thank you for creating us to be Women of God. Thank you for creating us in your image. But, we know Lord that is not what the world want to see us as. The world wants to view us as Children of Satan. It wants to view us as greedy, hungry for power, Jezebels, looking out only for ourselves. But, Lord we know that we were created for YOU. So we are letting our little light shine in a world of darkness. Lord, the world tries to tell us that there is no God. But, we say, "THERE IS A GOD. The message in YOUR WORD says, 'GOD CREATED THE HEAVENS AND THE EARTH...then God created man, IN HIS OWN IMAGE'. God created us as a helpmate. Dear Lord, we believe that you created us, and we know that You have us in your hands. We find JOY and CONTENTMENT, in your presence, Lord. We desire a personal relationship with you, Lord, and we know all we have to do is CALL UPON YOUR NAME (in Jesus name!) AND YOU WILL BE THERE! Help us spend some time in your WORD.